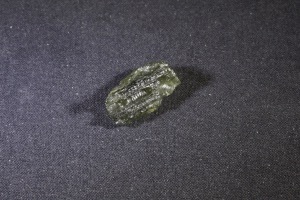 This beautiful stone found only in Czechoslovakia was named by A. Dufrnoy from Moldauthein in Bohemia, after the area in which it occurs, near the Moldau River (called the Vltava in Czech). 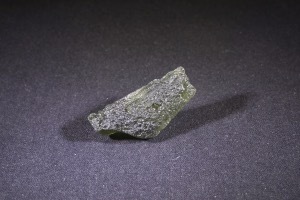 Pieces of the substance are widely distributed in Tertiary and early Pleistocene deposits in Bohemia and Moravia. 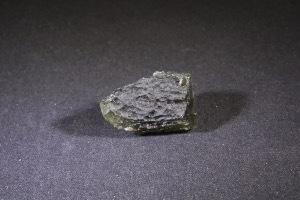 While in what is now the Bohemian plateau, the rock metamorphosed by the heat of impact created a strewn field of Moldavite in the two, mostly rural, areas of Bohemia and Moravia. 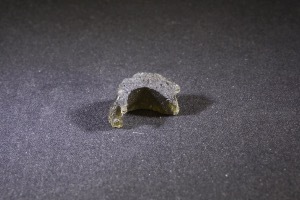 Farmers often turned up the stones when plowing their fields, while other specimens worked their way to the surface after spring thaw or heavy rains in the autumn. 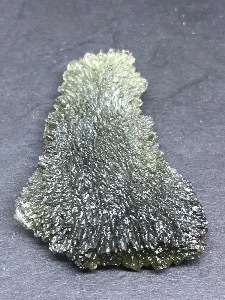 More recently collectors have "mined" for the gem grade and museum quality specimens by sifting and digging through loose sands and gravels. 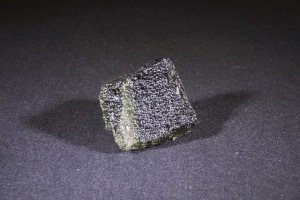 Earthly and extraterrestrial energies have been bonded together, producing energies which can be felt by a increase of body temperature or even an emotional release from laughter to tears. 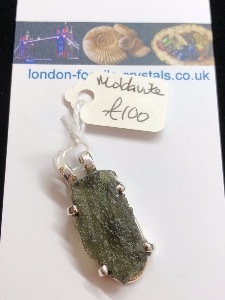 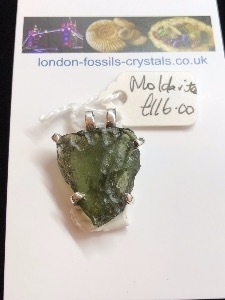 Moldavite is well known as a crystal with an ability of accelerating one’s personal spiritual path. 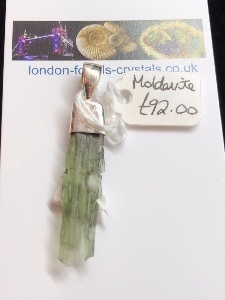 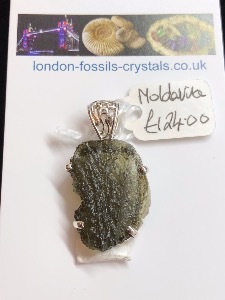 More Moldavite in stock at our retail shop.